Like much of Google's 2018 hardware, the arrival of a refreshed Chromecast was an open secret ahead of October 9th. The full details were hazy, though, leaving Chromecast fans with a little room for excitement. Unfortunately, the full reveal was less intriguing than the already minimal update most were expecting. Though the Chromecast hasn't been refreshed in three years, Google failed to mention the new hardware during its event. Now that the company has quietly added the device to its store, it's clear not much has changed. The $35 dongle does not have Bluetooth support, as an earlier FCC filing seemed to indicate, instead featuring just Wi-Fi 802.11ac. It can also stream up to 1080p at 60fps, which is an improvement on the 720p at 60fps of the previous device (or 1080p at 30fps), but still a little disappointing if you consider that the new Amazon Fire TV Stick 4K and Roku Premiere offer 4K for only marginally higher prices. The new hardware does, however, let users play music in sync with other speakers connected to Google's smart devices, like a Chromecast Audio dongle, but that feature won't launch until later this year. It also supports newly launched Live Albums for Google Photos on your TV. 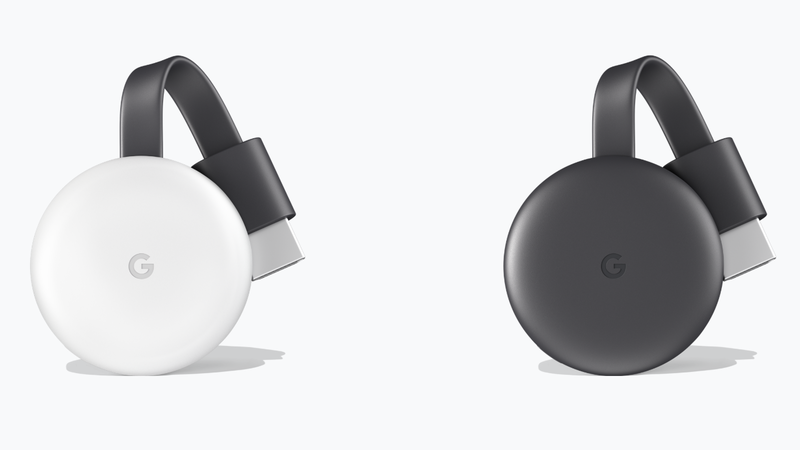 The 2018 Chromecast comes in Chalk and Charcoal, with a new matte finish and minimal Google branding. The device is available from the Google Store starting today in the US, Australia, Canada, Denmark, Finland, Great Britain, Japan, Netherlands, New Zealand, Norway, Singapore, and Sweden, with more countries to follow in 2019.